KJK is pleased to announce that Associate Kesha D. Kinsey, Paralegal Rhonda J. Houston, and Legal Analyst Andrea K. Kackley have all joined KJK’s Columbus team. As a member of KJK’s Litigation Practice, Kesha brings more than 10 years of litigation expertise, with particular experience in insurance-related cases, including subrogation-specific issues like notice requirements and statute interpretation pertinent to insurance matters. She also served for several years as compliance officer for her previous firm, giving her deep knowledge in such areas as the Fair Debt Collection Practices Act. 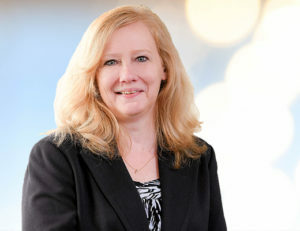 With more than 30 years of experience in the insurance industry, Rhonda brings in-depth knowledge and attention to detail to her paralegal work for clients. She’s worked on both sides of civil insurance matters, giving her a unique blend of expertise in client service. Rhonda provides support to attorneys that includes trial preparation, assisting in discovery, drafting legal documents and a wide variety of research related to client matters. This includes researching applicable case law, state statutes, decisions, codes, medical records and wage documentation. As a legal analyst, Andrea provides legal support to attorneys in all stages of litigation, including preparing pretrial motions, analyzing and organizing discovery documents and assisting in the preparation of exhibits for depositions and trials. She also conducts extensive legal research in support of arguments for motions, appellate briefs and oral arguments.